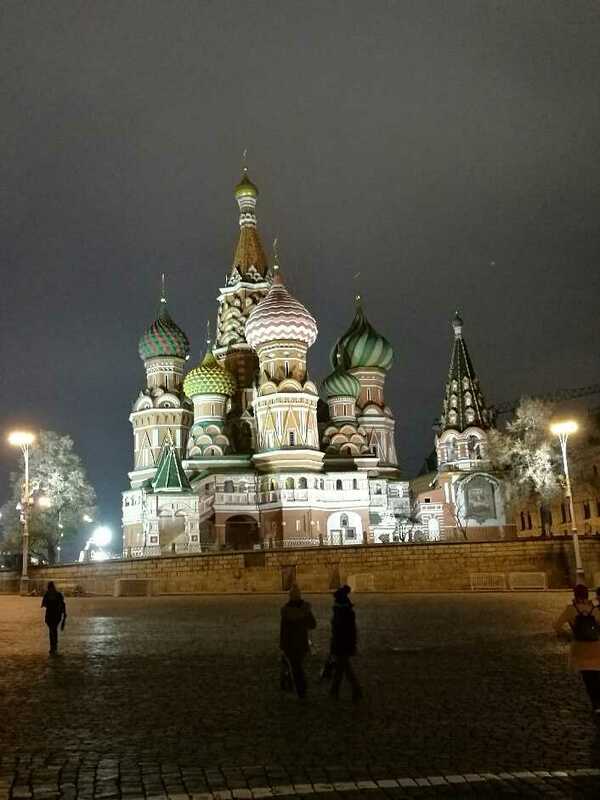 Saint Basil’s Cathedral on the Red Square ? 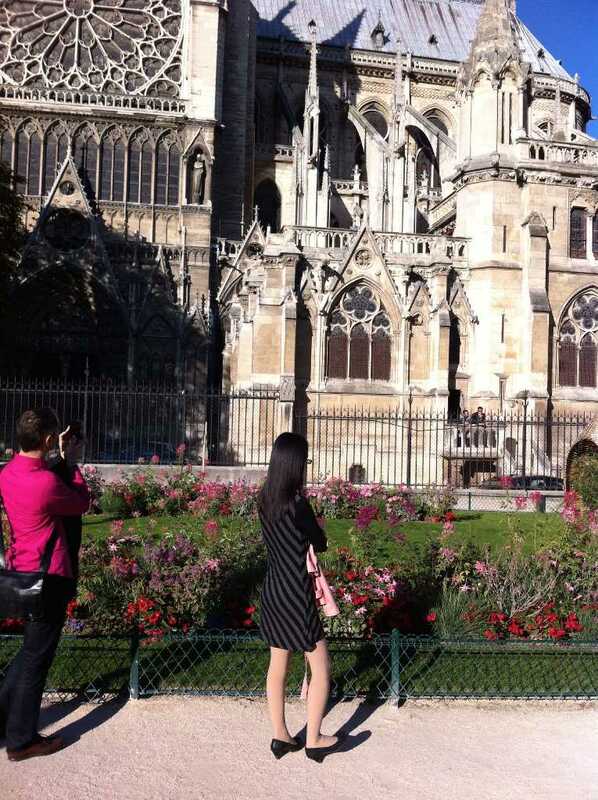 The southern facade of Notre Dame de Paris in the eyes of a lady in black ? 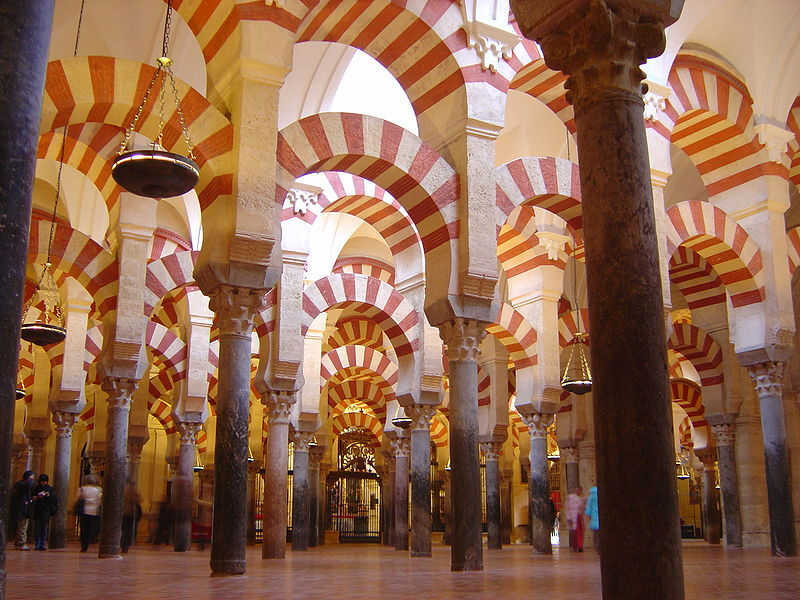 The columns of the Mosque-cathedral of Córdoba ?